Outdated data, deleted declarations of assets of former officials and a long list of current elected officials who have not submitted any yet. This picture is provided by the database of the State Commission for Prevention of Corruption when citizens try to find out how the body in charge of protection against misuse of their money by state officials works. The website of the State Commission for Prevention of Corruption has no information about the property of Saso Mijalkov, former director of the Administration for Security and Counterintelligence and PM Nikola Gruevski’s cousin. There is also no data about the former Minister of Transport and Communications Mile Janakieski, ex-Interior Minister Gordana Jankuloska and her former assistant, Ivo Koteski, as well as the ex-director of the Public Revenue Office, Goran Trajkovski. Although no longer ministers, declarations of assets of the ex-Minister of Information Society and Administration, Ivo Ivanovski and ex-Minister of Labour and Social Policy, Dime Spasov are still available to the public. Unlike the aforementioned officials who were recently part of Nikola Gruevski’s Government, there is no forgiveness for the councilors in the municipalities, their properties are under the scrutiny of the Anti-Corruption Commission. Especially if they are opposition members. “I am a member of a council of a rural municipality. When I was elected I had no property. Everything we possessed was my father’s estate. I was sent an application from the State Commission for Prevention of Corruption, I was sent to court and paid a fine of 350 Euros. I also paid court costs and several times I traveled to Skopje, so it totaled 500 Euros”, said an opposition councilor who wanted to remain anonymous. The table shows that over 85% of the mentioned officials are from small rural communities where there is a little chance of misuse of money. Over 90% are municipal councilors who own small family firms. Of the higher officials, Donka Markovska has been warned, member of the Board of the Public Enterprise for State Roads and the supervisory board of ELEM and Vele Samak for employment of his wife in one of the foreign investments brought in Veles. The website of the State Commission for Prevention of Corruption has a lot of mistakes and confusions. The Centre for Investigative Journalism SCOOP-Macedonia conducted a survey and we present only some of them. Katica Janeva, head of the Special Prosecutor’s Office has reported 80,000 Euros estate of her spouse in Credit Bank. But this bank is not on the list of registered banks in the National Bank of Macedonia. This information was later deleted from the website of the State Commission for Prevention of Corruption and such an institution and such amount is now not present in Janeva’s declaration of assets. 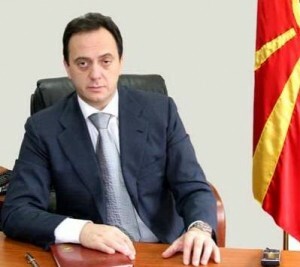 Presentation of the assets of the Deputy Prime Minister Musa Xhaferi also creates confusion. On the website of the Anti-Corruption Commission for Xhaferi there are two declarations. One as vice president, and the second as MP. The role and function performed by current members of the State Commission for Prevention of Corruption does not correspond to the tasks at all, says Sladjana Taseva in an interview for SCOOP-Macedonia. “I neither see, nor hear, nor want to evaluate the work of the State Commission for Prevention of Corruption. It does not exist. It is simply gone”, said Taseva. According to her, members of the Commission “have simply retreated into hiding, they have received a professional status and enjoy it”. “They are never at work nor has anyone seen them doing something. Officially the state has an anti-corruption commission, but if you open their website they are dealing with some projects for integrity or operating locally”, says Taseva. She adds that from the Commission there is never a concrete answer to the questions of conflict of interest, corruption. “If they continue like this, they will contribute to this institution to close. They do not serve to anyone and anything”, Taseva adds. Dragan Malinovski, former member of the first composition of the Commission, doubts that corruption scandals hide behind the closed doors. “The closer the authorities and institutions, the more likely corruption. If there is no corruption, there is no need for closing institutions for the public. The more closed institutions, the greater the chances of corruption. Secrecy is corruption’s greatest friend”, said Malinovski. According to Vanja Mihailova, former member of the Anti-Corruption Commission, the country is obliged to fight against corruption before the Organization for Security and Cooperation in Europe and the European Union, but it does not do it. “The fact that the government does not fight against corruption just stimulates it” she says, adding that “most needed is the political will in the government to implement anti-corruption legislation in practice”. “Within this government I do not see such willingness. When I was a member of the Anti-Corruption Commission officials respected it and we had many cases where officials had called the Commission earlier and asked if they would have a conflict of interest if they went to another position. This Commission is now just pro forma”, Mihailova says. While citizens demand a response to their questions, anti-corruptionists are increasingly becoming invisible to the public. 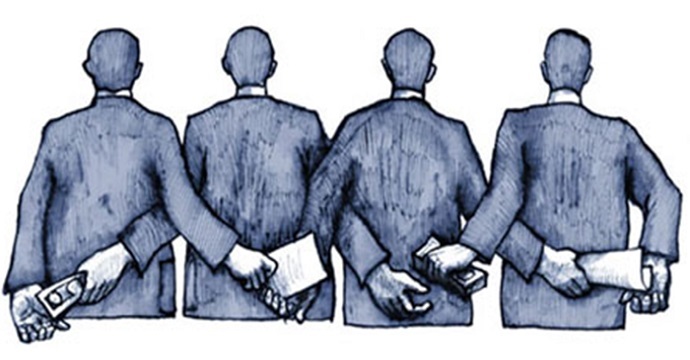 On the list of corruption perception prepared by Transparency International, Macedonia is on the 64th place. The country has good legislation to combat corruption, but it is not implemented. There are criticisms especially of the work of the State Commission for Prevention of Corruption. In the latest report of the European Commission on the progress of the country, in a separate section it is outlined that there is no progress in the fight against corruption. “There has been no progress in the past year. Corruption remains widespread. There is no political will to deal with corruption. Interference in the work of the organs hinders their ability to act proactively and indiscriminately, especially in high-level cases. It takes effective measures and law enforcement especially in the work of the State Commission for Prevention of Corruption”, it is stated in the latest report of the European Commission on the progress of the country in 2015. The same report indicates that very few officials have to pay 75 percent tax if they cannot prove the origin of the money for the property they own. Such a procedure in the last year was not recorded on the website of the State Commission for Prevention of Corruption. 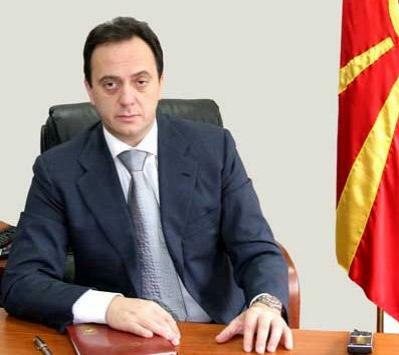 Slavko Gjorgjievski, contact person in charge of the State Commission for Prevention of Corruption is unavailable for Macedonian citizens if they want to submit an oral request for free access to public information. According to the Law on Free Access to Public Information, Article 11 states that persons responsible for mediating public information are obliged to provide assistance for requesting information this way or otherwise. Center for Investigative Journalism SCOOP Macedonia repeatedly tried to seek public information from Gjorgjievski, a person who in the Commission for protection of the right to free access to public information is registered as a mediator in the State Commission for Prevention of Corruption. But our attempts ended up at the porter’s lodge of the facility. At the porter’s lodge we were always told to submit the requirements in a written way. Although under Article 13 of the Law on Free Access to Public Information we have the right to an oral request to the institutions, however the team of SCOOP could not realize this right in the State Commission for Prevention of Corruption. We have neither received any written response from the Commission. To the clear and decisive issues from the State Commission we received a reply in the form of “application for supplementing the requirements with objective”. We tried to talk to Goran Milenkov, president of the State Commission for Prevention of Corruption, but we could not reach him. We tried to contact Antonija Andonova on the phone, PR, but no one answered the mobile phone.